Some say having a car that's had a recall can hurt the resale later. I think it shows the cars been looked after and maintained, if a fault is found a new non faulty part is installed even if the car is years old. I wonder whether these recalls would have happened if Nissan hadn't bought the controlling share (34 percent) of Mitsubishi a couple of months ago? Pretty sure given the drive belt issue they would have a recall like this. I wouldn't be deterred buying a car that has had safety recalls carried out - at least you know any potential fault has been rectified. Better to see that recalls have been done then find out down the track there's outstanding recalls on the vehicle. Got my recall letter in the mail yesterday, still haven't made a booking yet - earliest will be week after next though. Do wonder if I'll get any notice in the mail since I've had it done already. I got my recall notice in the mail earlier this week. Apparently even though mine is a 2013 MY14, it's classed as a 2014 (likely MY14) model. I guess the mechanical changes occur in the MY update, and the cosmetic upgrades in the model year update. That is, my car is 2014 model mechanically and electrically, but still has 2013 styling? Just an assumption. The Toyota 86 had a recall this week, just about all the cars sold in this country (including the Subaru version) for power steering issues, and we though we had problems? At least it's not like the GM ignition locks that they knew were a faulty design and caused 124 confirmed deaths and 17 cases known for paraplegia and quadaplegia. Considering these are the numbers directly attributed to the issue, I'm sure there were many more, particularly when GM knew of the issue for something like 10 years and kept using them. They got effectively a slap on the writ, yet GM with their diesel passagner cars sold in the US got US$14.7 billion fine, along with other penalties. This is especially BS since American diesel cars emit far more emissions, they get away with it because they are pickups, and they are exempt from the same laws. Really a double standard when you think of it, if it were Volkwagen or another company that did the ignition locks like that in the US, I'm sure the fine would have been much larger than US$14.7 billion, you know, because of all the deaths and serious injuries that are 100 percent attributed to it (not including those that were missed over the years). Then there's Jeep, when I see the TV ad of the guy in the couple wondering why he hadn't seen the neighbour in a long time, and the wife says they bought a Jeep, there's some truth to that. They break down and have so many recalls they're probably stuck somewhere... or be the victim of an incident like affected the Star Trek actor Anton Yelchin in June. It was known then the cause, but notice the date on the recall? Why did they wait until 26 July in Australia? Probably there are a lot of recalls we don't know about. 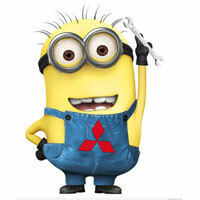 All things considered, the switch problem on the Lancer isn't as bad as many of them. I still suspect it was probably found as a result of maybe an audit by Nissan when they took the controlling interest a couple of months ago. With all due respect to Anton Yelchin and other who have died using the Jeep's auto GB I do wonder if his Jeep would have rolled away if he had the hand brake on and not just relied on the gear box being in Park? Clarification - what type of hand brake does that Jeep have? I know some cars now come with an electronic (bush button) hand brake, not a leaver like in most cars. Can this also be an issue not having a physical leaver? I agree our issues were minor but I did hear some had lost there lights at times when turning, from that electric fault. Hate to be on a dark corner and all of a sudden you can't see where you're going. Recalls are a valuable tool but some don't act soon enough and it ends in death, not sure if Nissan played any part in the recent Mitsubishi recalls. Yeah the problem is things can quickly get out of control, just look at VW with their emotions issues and now Ford and the lawsuit they are facing. I know any company can't just issue a recall at the drop of a hat, they need to investigate any issues to determine if it's a one off caused by other factors or a fault in the item which could happen again. Its not just a one off thing, and a minor fault in a product can see the downfall of a multi million dollar business very quickly, maybe that's one reason many do react quickly and before any serious issues are reported. Damn volkswagen and all their emotions! Who needs 'em I say! The thing I was pointing out with the Volkswagen issue though is the amount of the fine, compared to GM who also knew of the ignition lock issue, causes 124 known deaths and 17 people with paraplegia, quadriplegia, and they got away with it relatively scot-free. Any claims of deaths due to emission is BS, seeing as the US diesel pickups can emit signficantly more. Instead of legislating to improve they simply reclassified them. It all comes down to the fact Volkswagen is a foreign company and GM is a US company. The issue did not include injuries like broken arms, legs etc. It also makes you wonder how many more deaths and injuries were the result of the issue that weren't accounted for, including in other vehicles. So the families of those dead and injured, along with all those unknown deaths and injuries caused can relish in the fact that emissions from volkswagen diesels, although much less that American pickups, is far a more serious issue than their death and suffering. I agree the fines and penalties seem out of wack. Skrallex wrote: Damn volkswagen and all their emotions! Who needs 'em I say!